Protect the cab of your truck and your back window with a Highway Products Honeycomb headache rack. Honeycomb headache racks have a 750lb load capacity and Honeycomb mesh insert that will protect your rear window. Honeycomb headache racks feature a tapered design that matches the contour of your truck. Install it and adjust the uprights and honeycomb insert for a perfect custom fit. The punched honeycomb design mesh has a wave like bend that increases strength and helps prevent bright light from entering the cab. 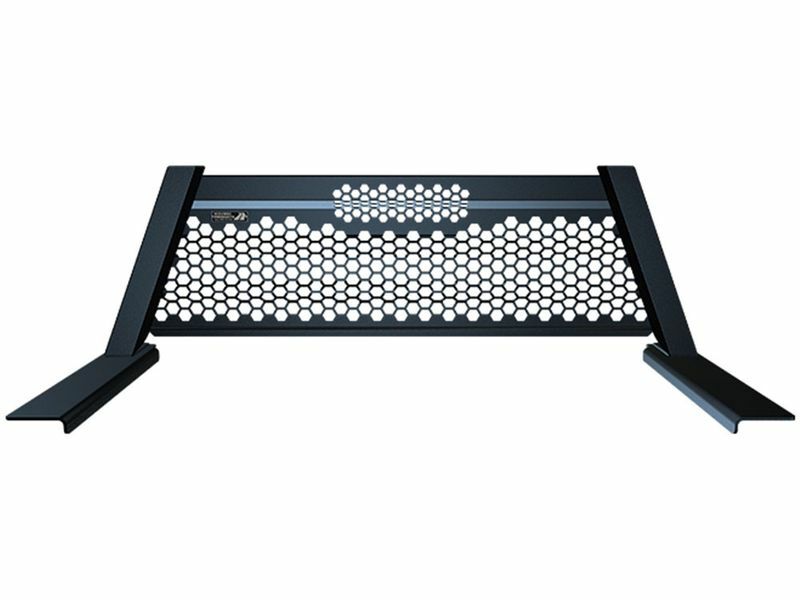 Highway Products Honeycomb headache racks are available in smooth black, diamond plate black and Tankbrite silver. Highway Products Honeycomb headache racks are backed by a limited lifetime warranty against defects in workmanship. This is a transferable warranty, meaning that there is always going to be a warranty on this product regardless if you are the original owner or not. As long as it says Highway Products, it’s covered under warranty. Install your Highway Products Honeycomb headache rack and adjust it to your desired height with the adjustable uprights and insert.